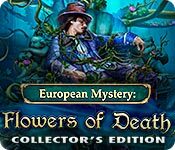 European Mystery: Flowers of Death Collector's Edition is rated 4.0 out of 5 by 46. Rated 5 out of 5 by be_positive from Nice I liked this game. No back and forth, alot fun mini games, it's long (1.5 GB and not all big MB games are long, so this is plus for this game), bonus game is...... hard to describe :-), but nice, it's happy ending, original story, etc.! Extras and achievements...... that is hard to get all, so that is minus for me. Still it's 5 star game for me. Rated 5 out of 5 by disneyqueen53 from disneyqueen Great game great purchase. Recommend to all levels. 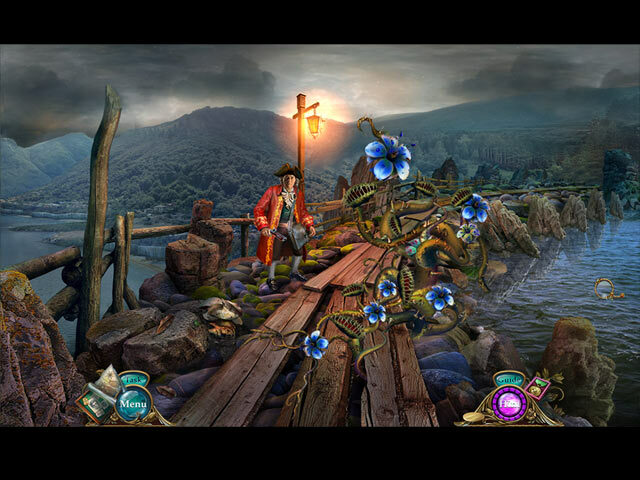 Rated 5 out of 5 by Bamaman1951 from European Mystery: Flowers of Death Collector's Edition Outstanding game. Best I've played. Graphics are great. Keep them coming. Rated 5 out of 5 by Firehorse66 from Long game, worthy CE Great game, great creative puzzles thank you!, somewhat interactive hops but not too many thank god. Lots of places to go and things to do. The only thing that was a bit frustrating was the map, not easy or clear to follow. Good bonus game length. Rated 5 out of 5 by crusades from excellent game The graphics in this game are just brilliant. Such clarity and sharpness. Good mini games and the HOPs are good too with a novelty in that some of the items are morphing and you have to get them when they morph to the required object. Also a lovely long game - certainly your money's worth. Rated 5 out of 5 by RussianBear from Outstanding! I'll begin with saying that this game is sumptuously long - to a point where I felt that I definitely had my money's worth. The graphics were wonderfully detailed, the mini games were fun, and as for the story line, I am never really demanding as far as game are concerned. It made sense in a "gamey" way and it was consistent. I am sure you'll have fun with this game! Rated 5 out of 5 by Shayleah from Had A Flower of a Time! Recently I had been getting discouraged on some of the games that were coming out. 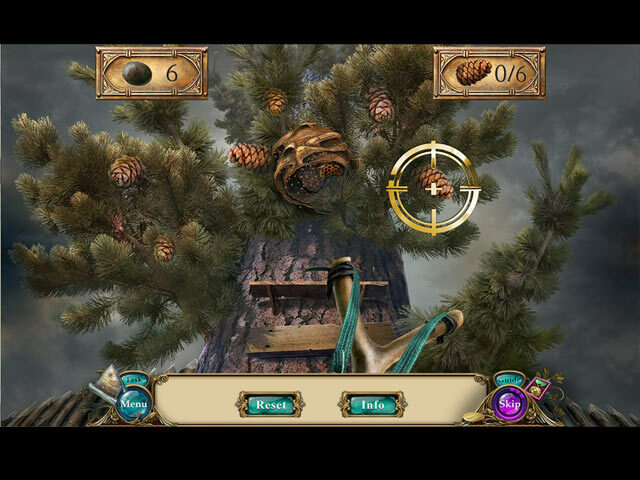 It was the same ole ..ho hum.. poor quality hidden object games. I had started leaning more toward other styles of gaming. This one revived me and changed my mind! I really enjoyed this game and looking for more just like it. I had previously played European Mystery: The Face of Envy and thought it was good but I think this one tops it. The visuals were great. The story line was like reading a very good mystery novel! The game play was relaxing and intriguing at the same time. It was nice to have a different style of play in each location. Locating items was actually not boring for once. I liked not having to travel all over a city to find one item to solve a puzzle on the other side of town. The hidden object portion of the game was different. 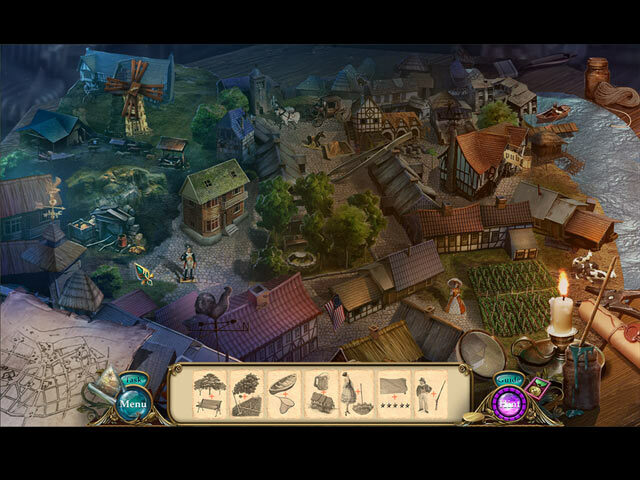 I didn't wish for a side game to be offered like I have lately but instead I truly enjoyed playing the hidden object! The map was a great help as well. Everything was easy to follow. Each piece seemed to fall in place perfectly! Definitely going to purchase this one! Rated 5 out of 5 by englishb from Fun game! Enjoyed playing this game. Finely something a little different.